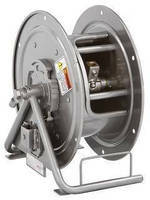 Westerlo, NY – Hannay Reels, the world leader in dependable, high quality hose and cable reels for OEM and aftermarket applications, will showcase hose and cable reels designed specifically for firefighting and rescue applications at the 2014 Fire Department Instructors Conference, April 10-12, 2014, at the Indianapolis Convention Center and Lucas Oil Stadium, Indianapolis. 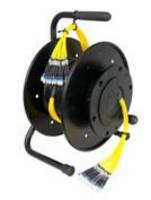 Visit booth #4516 for a chance to win a Hannay Reels C16-10-11-DE compact portable cable reel including 100 feet of 14/3 cable. 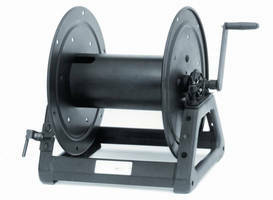 Equipped with a storage drum extension, this versatile, lightweight and durable reel easily manages long lengths of cable. 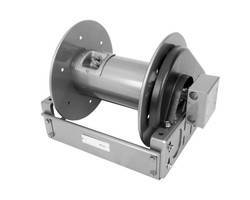 It also features an adjustable cam-lock drag device to brake the reel, as well as a crank handle permanently attached to the disc. “Hannay Reels consistently delivers top performance under extreme conditions, which is why fire and rescue professionals rely on the durability and dependability of our reels to help cut attack time and increase safety in severe situations,” said Ken Fritz, Manager of Engineering and Quality Assurance at Hannay Reels.